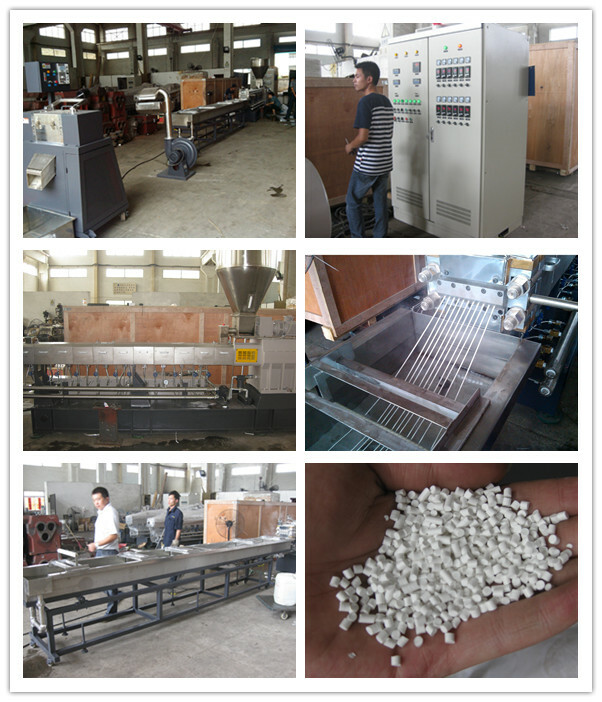 TSE-50 twin screw extruder price. 35000 USD for water strand extrusion line. 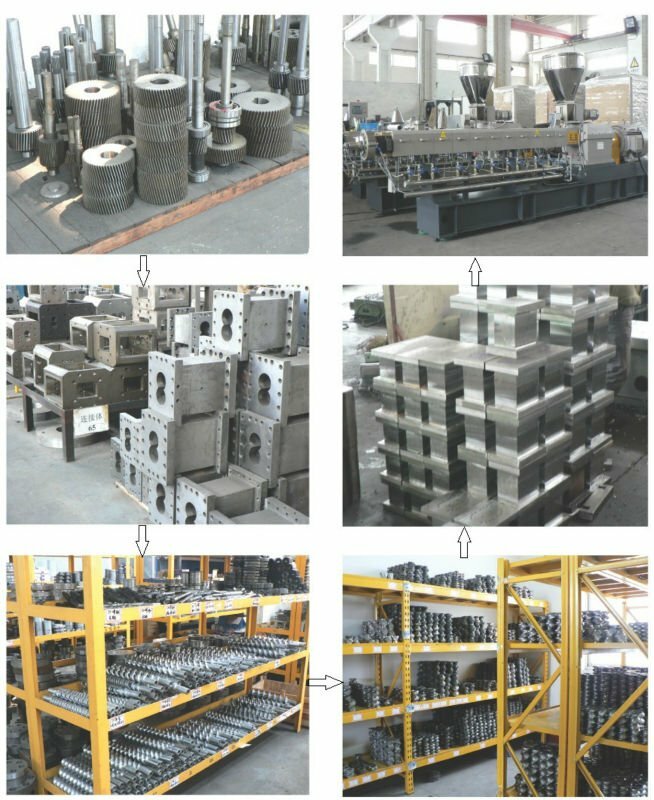 mainly process pet , pp , pe ,abs, ps ,pc ,pa6 ,nylon . for recycling, compounding and granulating .we can offer you turnkey solution. Are you looking for the reliable PET recycling compounding parallel co-rotating twin screw extruder? 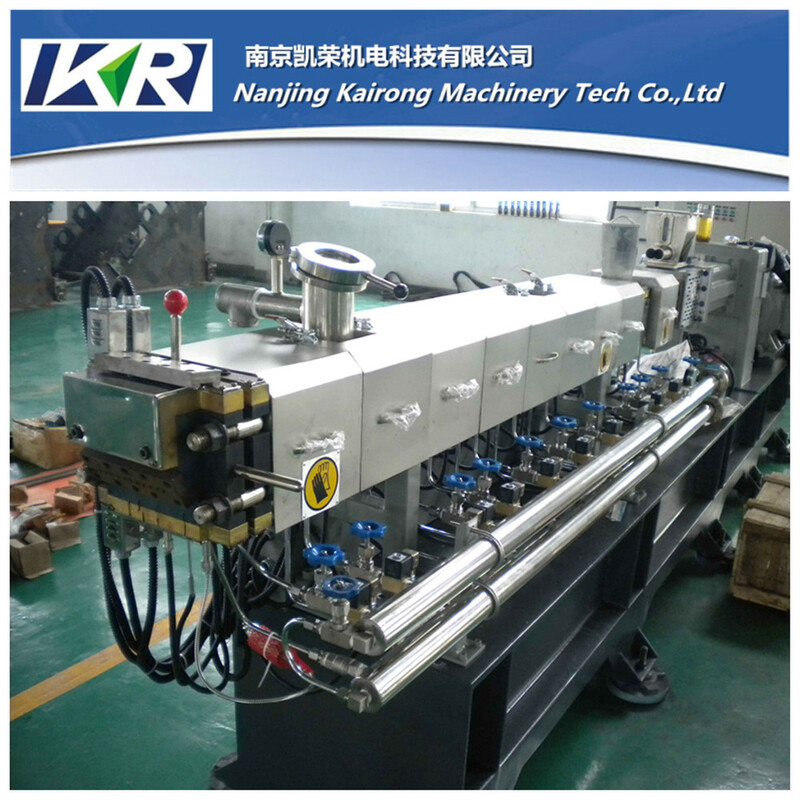 Now we Kairong have the co-rotating twin screw extruder for sale. 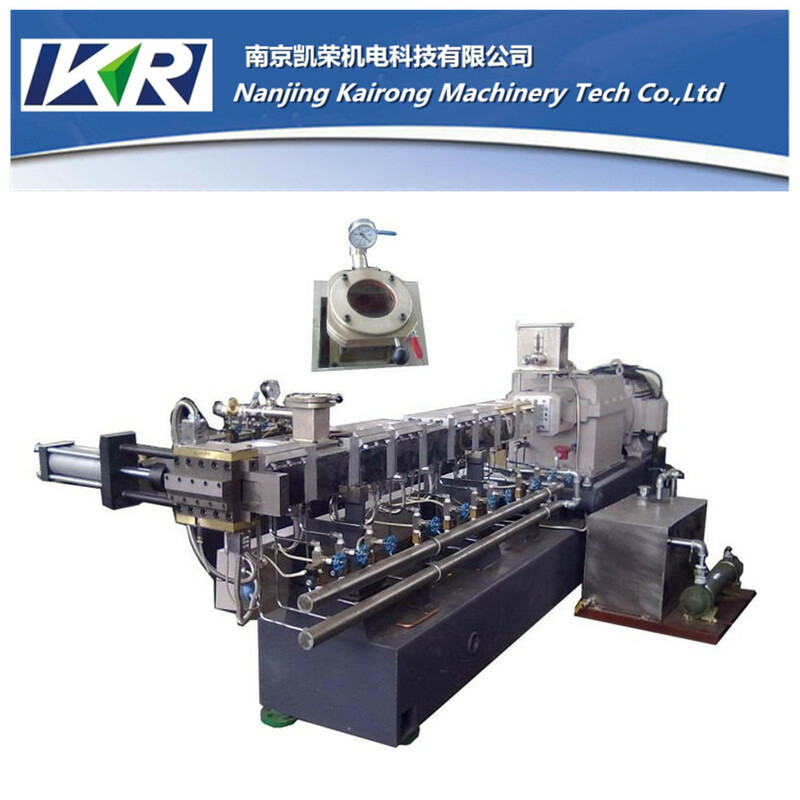 The co-rotating twin screw extruder mainly process PET, PP, PE, ABS, PS, PC, PA , NYLON, for recycling, compounding and granulating. 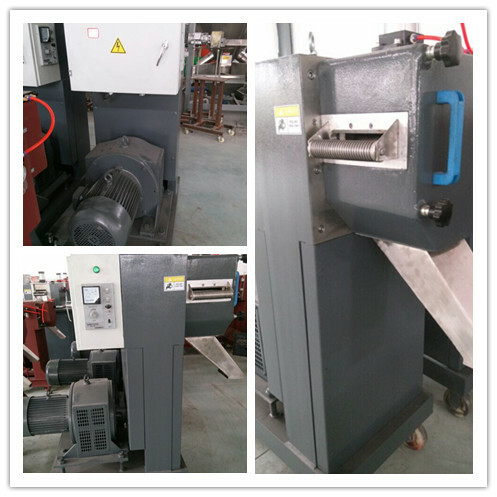 The recycling PET of the PET recycling compounding line has the high purity. 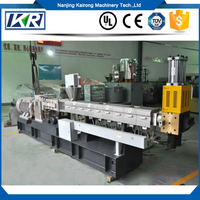 As the manufacturer of the PET parallel twin screw extruder, we are responsible for the flakes graunulating line of the PET. 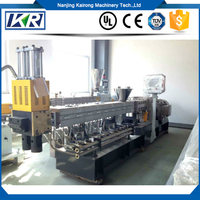 In the process of the use of your parallel twin screw extruder, we can always give your suggestions on how to use the compounding equipment. If you need, we can offer you turnkey solution of the flakes granulating line of the PET.